A leap forward in flexibility and lightness! 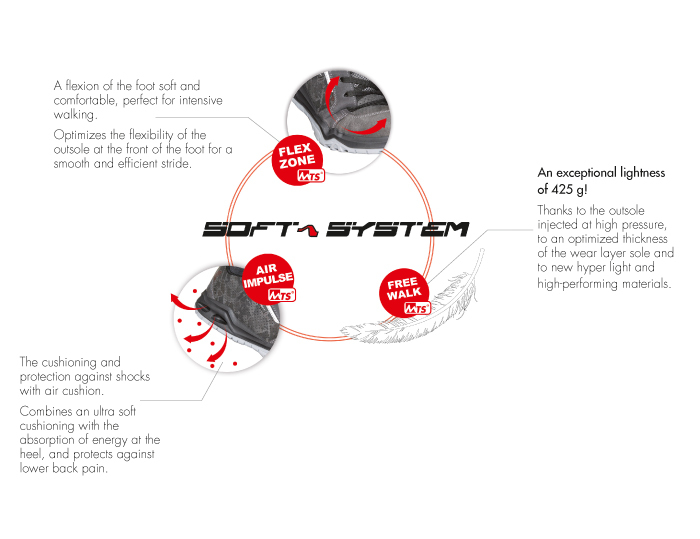 This range integrates the three innovations Soft System®: the cushion "Air Impulse" shock absorber at the heel, the "Flex Zone" to smooth the bending at the front of the foot and the �? 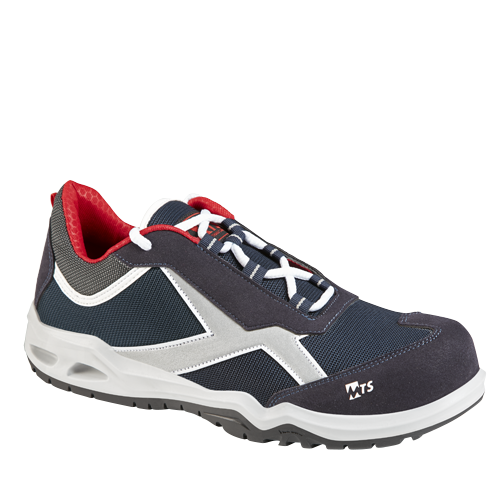 ?Free Walk" concept for an exceptional lightness. You guessed it; these technological shoes are investigated for the professionals who walk intensely in "clean" areas, indoor and outdoor. The innovative shape was designed in collaboration with a chiropodist to guarantee a fit to the optimum, for a comfort never reached before! Ultra light: 425 g per foot!